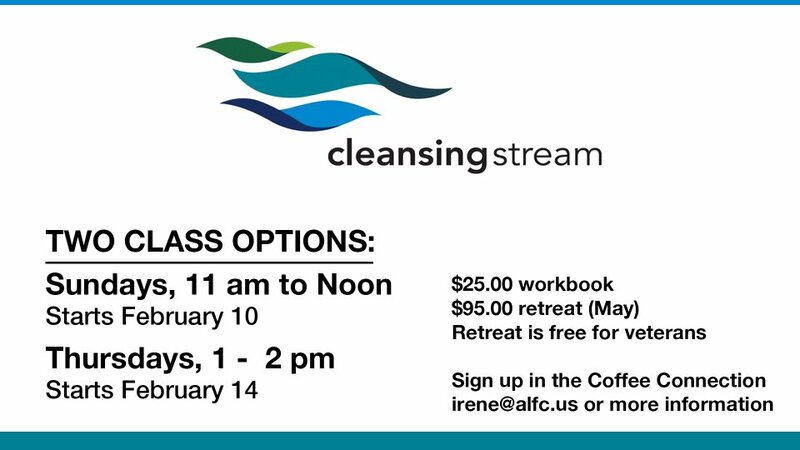 Cleansing Stream is beginning it’s spring seminar with two schedule options: Sundays at 11 a.m. in the Maple Room on the second floor and Thursdays at 1 p.m. in Room 4 on the first floor, starting February 10th and 14th, respectively. Cleansing Stream walks participants through a process that brings freedom from the hurt, brokenness, sin—whatever—in your inner life. You’ll clear out the clutter that blocks your ability to hear and respond to the Holy Spirit.  Visit cleansingstream.org for more about what attending this transformational class is like. Hosted by a well-trained, caring team led by Pastor Irene Schwab, this 12-week seminar culminates in a life-changing weekend event on May 4, 2019. The cost is $25 for the workbook and $95 for the May event (and the event is free to military veterans! ).